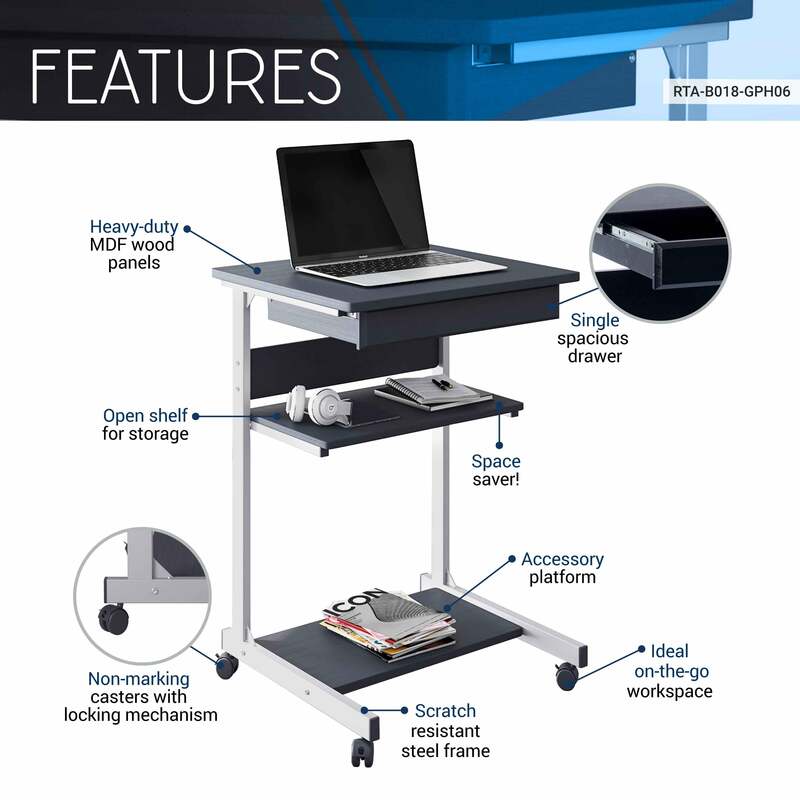 The Techni Mobili Rolling Laptop Desk with Storage works with you to get it all done. Rolling on casters for easy storage in the dorm or home, this desk features a single drawer and two shelves for storage. Two of the fours non-marking nylon casters include locking mechanisms. The desktop has a 90 lb. weight capacity, the drawer can hold up to 10 Lbs, the top shelf has a 50 Lbs. Weight capacity and the bottom shelf can hold up to 70 Lbs. Panels are made of MDF panels with a moisture laminate veneer atop scratch-resistant powder-coated steel frame. Color: Graphite.